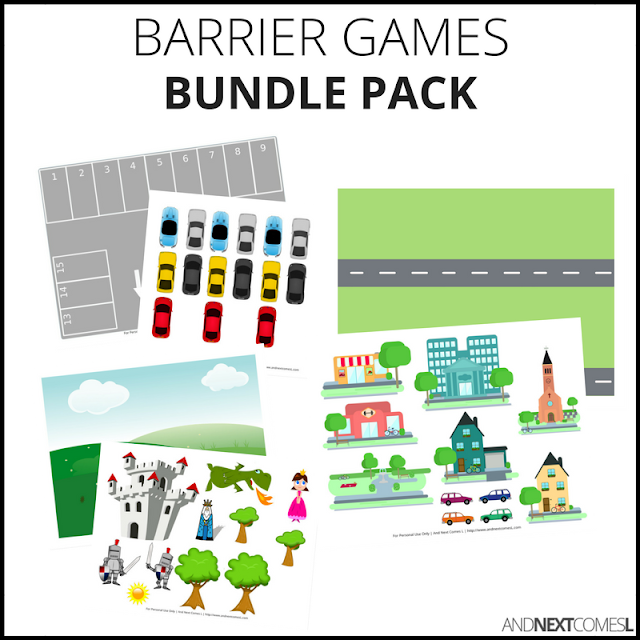 A pack of 15 printable barrier games to work on speech, language, and social goals! There are 15 different speech therapy barrier games included in this pack covering a variety of themes. They are great for working on expressive language, prepositions, receptive language, following directions, turn taking, and so much more! $10 US | BUY NOW!